I've ranted enough about the demise of the manual transmission and the coming penalty box of autonomous electric vehicles that you might think I'm mad -- but I assure you that a doctor said I was fine. Regardless, I do look forward to the time when I can send my self-driving car on an errand to the store to pick up something for me -- I'll put on my magic car directing hat and say "car, go to Harbor Freight and get me another 3-pack of stepped drill bits." 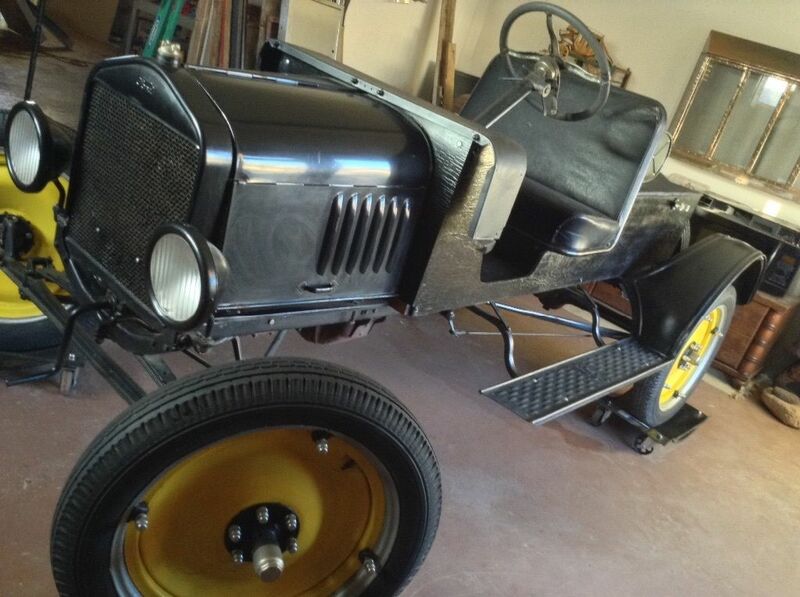 Because I'll always need parts/tools for the nutty human driven projects in my garage, like a 1923 Ford Model T converted to electric with starting bid of $5,000 here on eBay located in Sedona, AZ with 3 days to go. Tip from SeanT. With many 1916 and earlier Model T's on the road still today, it is amazing to think that you can actually own and drive a 100 year old car. 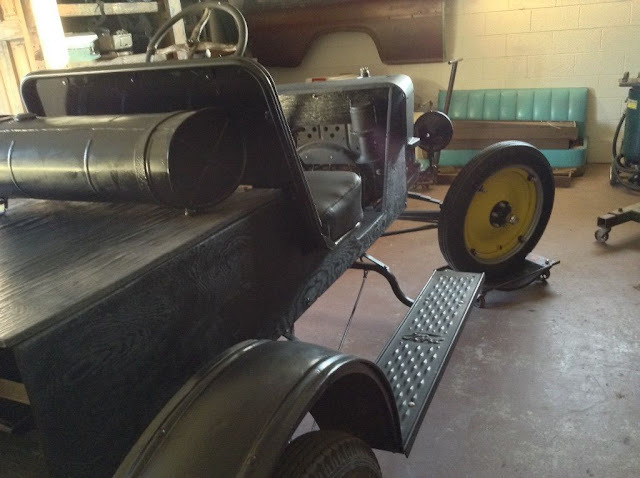 I can't imagine that in 2116 you'll find anything from 2016 on the road...but this 1923 car will probably still be chugging whirring around. Where the engine should be is some piece of electronic wizardry that makes electrons flow into small pinwheels that spin the state or rote or -- it's all very complicated and translating it into layman's terms is an exhausting feat, but the short story is 36 volts and the seller doesn't specifically mention if it runs at this time. Wow, so much to comment on. First, I wonder why anyone would have accomplished 36V via six 6V batteries, rather then the more commonly available 12V (even in the 1970s). In either case, I imagine 36V is going to make for leisurely performance. I wonder how it compared to the performance of an original Model T.
If this came with the original engine in a box, I might be interested. I like the speedster presentation, and those "Indy 500" wheels are amazing. You could change your name to Ray Harroun and live out your fantasies. The ad does say it comes with engine, gas tank, radiator, etc. I too have wondered on why 36V golf carts use 6 x 6V and 48 V ones use 6 X 8V rather than fewer deep cell 12V batteries. I'm sure there is a good explanation, but I have never been able to get a good grasp on electrics/electronics. NoCo FoMoPar: Hate to be a downer, but there are so many times I assumed there was a good explanation, and there wasn't. Somebody did something dumb, and for generations people assumed there was a good reason. It is one of the many assumptions that keeps the human race on the edge of calamity for eons. Just to be clear, being lazy by nature, I am an avid practitioner of assuming, and not being judging. 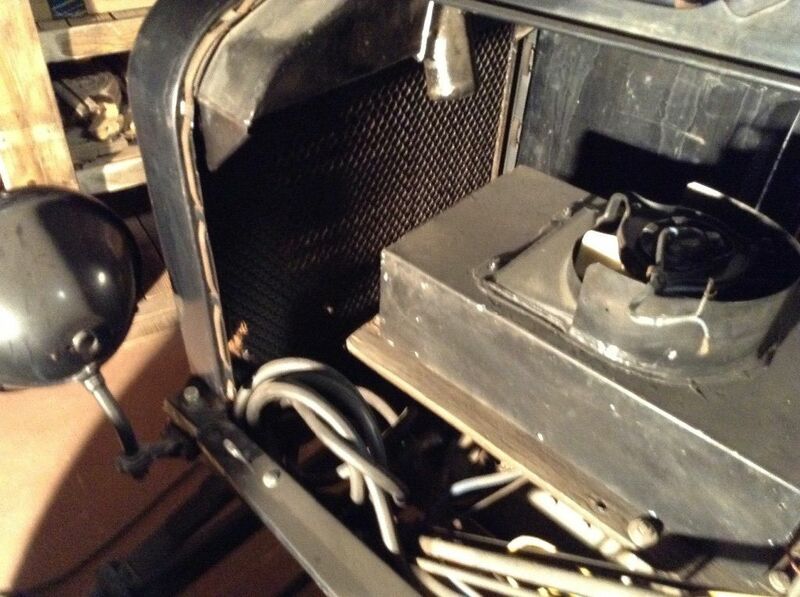 Looks like they kept the original gearbox, I assume to keep the brakes. You don't see many people bemoaning the loss of that control set though. The two speeds would probably work well with the electric, although the lack of a need to idle might make it a bit complicated, but you probably wouldn't need the spark advance anymore so there's that. I've seen e-motorcycle conversions using Leaf batteries at 48 volts, and 19hp peak motors for about $3000 that would probably do well in this. Stock was 20hp. With lithium, batteries and motor could well weigh less than the original engine and likely fit under the hood. A 6V golf cart battery already weighs 70lbs; bumping it to 12V while still keeping the plate size (and therefor toughness and capacity) would result in a battery you'd need two people to move.